IPU CET 2019: Guru Gobind Singh Indraprastha University is at state level university founded in 1998 in New Delhi. IPU CET 2019 (Indraprastha University Common Entrance Test) is an annual state level admission test which is conducted by GGSIPU. GGSIPU offers admission in several courses UG,PG & other courses in the area of Engineering, Management, Law, Computer Applications, Medical ,Nursing, etc. Latest Update: IPU CET 2019 Application Form is Available From 23rd March (Today). Fill it Before the Last Date. Latest Update: IPU CET 2019-20 Admission Brochure Released!! Check All Released Documents Below. Latest Update: For Some of the Program IPU CET 2019 Admissions might be done on the basis of national level exams. Check the Notification below. NEET score is required For MMBS and BDS as they don’t have separate test for medical. Based on the scores of the IPU CET 2019 students will get admitted in University and University affiliated colleges. Generally the process of admission and IPU CET starts in April depend on the courses you want to apply for. Kindly go through the article to get full Information about IPU CET Admission. All the applications of the different courses open in the month of March for IPU CET 2019. Age for Under Graduate should ranger from 17 to 21 years. MBBS/BDS applicant should not have age beyond 25 years. Bachelor of vocational applicant should not be beyond 45 years. 35 years is the Maximum age limit for the Post Graduate courses for IPU CET Eligibility. In B-Tech, the applicant must qualify the qualifying exam (10+2) with minimum aggregate of 55% marks with core subjects – Physics, Chemistry, Mathematics. And must pass the English paper with 50% marks. In BBA, the applicant must qualify the qualifying exam (10+2) with minimum aggregate of 50% marks. In MBA, the applicant must have the bachelor degree (3years or 4 years) with minimum aggregate percentage of 50%. In MCA, the applicant must have the bachelor degree (3years or 4 years) with minimum aggregate percentage of 50%. Core subject in (10+2) Mathematics and Computer Science for IPU CET Admission Criteria. In LLB, the applicant must qualify the qualifying exam (10+2) with minimum aggregate of 50% marks. In M-Tech, the applicant must have the bachelor degree ( 4 years) with minimum aggregate percentage of 60%. The IPU CET Application Fees for each course is Rs 1000. Although there is a relaxation for reserved category.The fee is Non-Refundable.The payment mode will be online through Net Banking/Credit Card/Debit Card. Applicant should go the Admission link and click on it. Once reach the Admission page, search for the link of IPU CET Application Form for particular program you want to apply for. Click on the Application link and register your personal details, education qualification, upload scan passport photo (of specific dimensions), signature, etc. Now Select the Test center according to our convenience and program code. Now cross verify the details before you submit the application carefully. Once you checked it then submit the form. After submitting form, save the form and take the print out for future references. Now check your email id as the site has sent you the email confirmation of successful form with login details Id and password. Login in to the account and pay the fees through online mode. Use Net Banking/Debit card/Credit Cards to pay the fees. Once the fee is paid you should also take the print out of the fee receipt. Your IPU CET Application Form 2019 is applied successfully. Once you fill the form, Start making the plan how u are going to cover the entire syllabus. 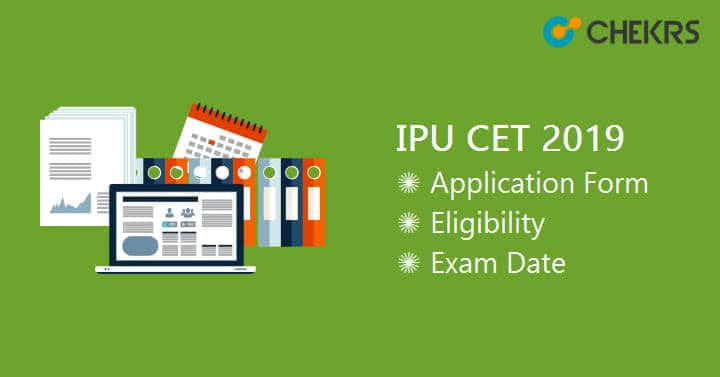 If you have filled the form, then the next thing is how to prepare for the IPU CET 2019. All the IPU CET Previous Sample Papers are very important as they help you to improve your skills like, Concepts, Time Management, etc. for the Examination Process. These sample papers have questions related to every topic and covers almost all the syllabus and prepare you well for the IPU CET 2019. The Online Mock Test will increase your speed and accuracy and where you stand in the preparation. The Admit card will be available 1 week before the exams and then you can download it for IPU CET from the official website of GGSIPU www.ipu.ac.in . Once you have downloaded the IPU CET Admit Card 2019 , take the two print out of the Admit Card because one will applicant copy and other will be university copy will be handed over to Invigilator for the records of university. Paste the same photo which you uploaded while filling the form and sign it. The Answer Key for the IPU CET 2019 will be available within the week after the exam date. Merit list will depend on the cut off list which will depend upon the mode of easy or hard paper. If the paper is hard cut off list will less otherwise high. The result will be available on this Link within two weeks after the exams and the merit list will be formed. Candidates have to visit the official website to access the IPU CET 2019 Result and Merit List. Just go to official website and find the link for the result and Merit list and Check your result there.